Some three months have passed since we started Embark, and things around here are taking form. 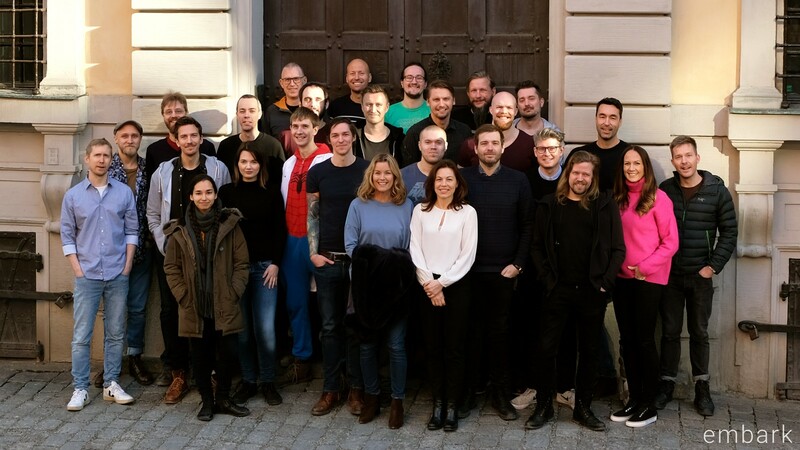 We’ve read through thousands of applications, hired over 50 people, moved into our own house in the heart of Stockholm’s Old Town, and begun building what looks to become our first game. So I thought now’s as good a time as any to share an update on why we started this venture. I want to let you in on some decisions we’ve made, and give you a glimpse into our progress so far. In the first few weeks, the six of us who founded the studio huddled together in a tiny room we had managed to borrow, and worked on the stuff that any new company has to deal with: hiring people, finding an office, setting up a basic website, and getting our paperwork in order. But in a shorter time than I would have expected, the early team here settled around an idea for our first proper game — an idea that we were immediately excited about, that resonates with our mission, and that we have now begun prototyping. Lots about this first game of ours will change and evolve as we progress. With that caveat out of the way, I can tell you that it’s a cooperative free-to-play action game set in a distant future, about overcoming seemingly impossible odds by working together. After testing and trying different alternatives, we have decided to develop this game in Epic’s Unreal Engine, augmented with some of our own new technology. Our team is now having lots of fun getting to know the engine, and are making good headway. For instance, here’s a terrain test that our art team has been working on, showcasing just how powerful Unreal can be. 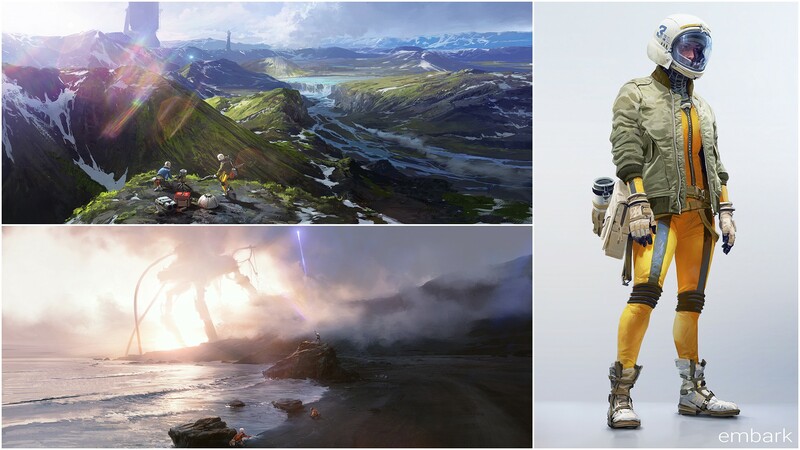 Our goal with this terrain test was to see how far we could push visual fidelity on a large scale (256 square kilometers), with completely dynamic weather & lighting, and without having to be a huge team. Everything in this clip was created by three people over three weeks, using real-world scanned data, procedurally placed objects, and some great tools. Many of us here have experience from working at larger studios, with lots of support and resources. The reality of running a smaller studio means we need to work differently; we have to keep learning and come up with efficient workflows, and we always need to challenge our assumptions. Beyond getting started with our first game, we have one large overarching ambition; in essence, we think it’s too hard for people that aren’t professional game developers to create games, and we want to blur the line between playing and making, with games and tools that empower anyone to create. Just like anyone today can produce their own videos, write their own blogs, or make their own music, we imagine a world where everyone is able to create and share meaningful interactive experiences. Our belief is that the more people that are empowered to create, the better, more interesting and more diverse games will become. This is a big vision, and we’re realistic about the challenge. It will take time and effort to get there. And for a small studio like ours, the right way to tackle this won’t be to hide away for years, trying to develop something big and complex that may or may not succeed. Instead, we’re focused on getting something out there quite fast that we can build upon — a really fun game that, if popular, can expand with design and functionality that take us closer to our long-term vision. In the coming months, we’re going share more with you about our journey, the challenges we face, the problems we (hopefully) solve, and the things we learn along the way. And in time, if all goes well, you’ll get a proper game reveal too. Meanwhile, if you think what we’re doing sounds interesting, follow us on Twitter, Instagram and here on Medium to keep updated. And if you think you would make a good addition to our team — or know anyone that might — check out our open positions. Part of the team assembled this morning.